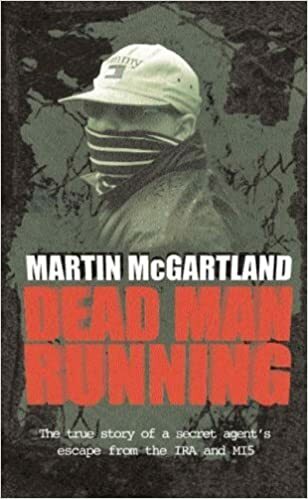 This is the remarkable true story of Martin McGartland who worked undercover as a British agent inside the Provisional IRA. Captured by the Provos, he escaped and was re-settled on the mainland, but later discovered that he had been deliberately sacrificed by MI5. The book also covers Martin McGartland's return back to Belfast to try and discover why MI5 had attempted to organise his execution. During his years in hiding he was arrested and taken to court many times on flawed charges brought against him by Northumbria Police. Eventually the Crown Prosecution Service, advised by Northumbria Police and MI5, ordered his trial for attempting to pervert the course of justice. The jury found Martin not guilty within 10 minutes after a 4 day trial. Both Northumbria Police and the CPS lied in Court in a desperate bid to win a conviction . Northumbria Police and the CPS even gave his name, new identity and his home address out in open court. As a direct result, the IRA tracked Martin down to his 'safehouse' and shot him six times. Northumbria Police, MI5 and the British State continue to cover up IRA involvement in Martin's attempted murder. Martin continues in his fight for truth and justice. Martin McGartland is also the author of bestselling FIFTY DEAD MEN WALKING .